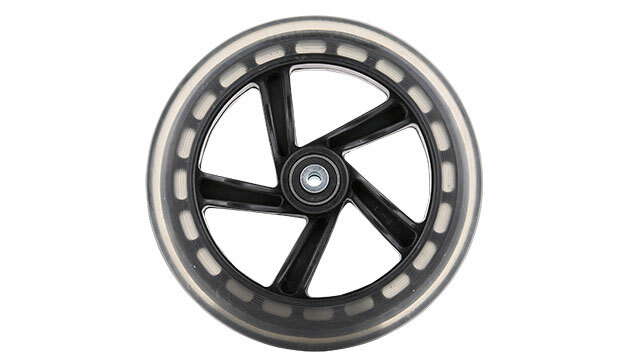 Complete wheel made of PU for Skike Cross Skates. With PU wheels you will be able to skate faster but also you will loose some offroad abilities if you replace the regular air tires. PU wheels are made for asphalt paths. Fits to: Skike v7 FIX, Skike v8 LIFT Cross and Speed.